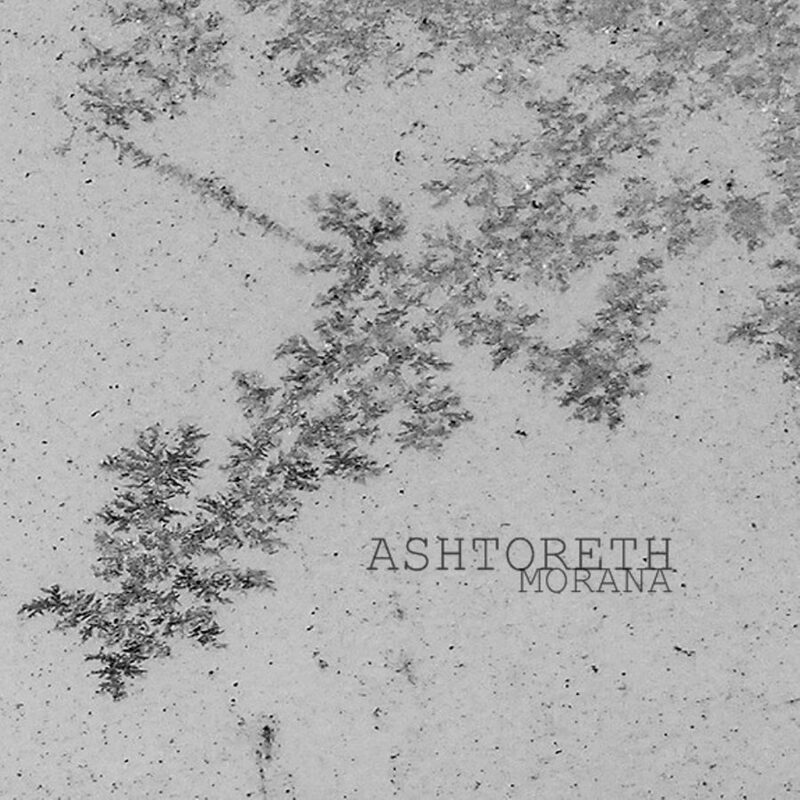 Ashtoreth is a ritual dark ambient artist who focuses his attention to guitar drone and vocals. His latest album, Morana, has been released on Unexplained Sounds Group. Unexplained Sounds Group is an Italian label run by the man behind Sonologyst, Raffaele Pezzella. They have built an international reputation over recent years by releasing music on the periphery of the ambient and electronic genres. Ashtoreth fits perfectly into their catalog. His music is quite hard to specifically describe. There are elements of guitar drone as well as vocals. These are relatively consistent. But, the style in which he uses these sounds is what really makes Ashtoreth unique. Morana is an ode to the Baltic and Slavic goddess of the same name. Her association to the seasonal rites of death and rebirth make her the perfect deity to anoint this music. The sounds have a distinctly winter infused theme. Yet, they do so without the help of field recordings. The opening track, “Hyberna” is a perfect example of this sound. There is a sort of hissing white noise that lingers throughout the twelve minute track. This, presumably, comes from his guitar amp. This white noise lays a nice foundation for the wintry themes of the album. Building upon this subtle noise, Ashtoreth uses his guitar in an equally subtle fashion. There are gentle guitar drones which are layered with slightly distorted single notes which slowly resonate throughout the track. While there is little happening in this track, less is more. The feelings and landscapes captured in “Hyberna” are not to be underestimated. The music is easily moving. It is the perfect soundtrack to the worship of this goddess of nature’s death and rebirth. After the subtlety and minimalism of “Hyberna”, Ashtoreth takes the following track “Kāla Nāg” into a different direction. “Kāla Nāg” incorporates vocals, all done by a single man, yet they are performed in such a manner that they bring about thoughts of opposition. On the one side is a clean sounding vocal, gently expanding and receding throughout the track, in a beautiful and reverent nature. Contrasting this beauty is a set of gentle growls, which sound almost demonic, yet equally as subtle. The combination of the two, over a slowly oscillating guitar drone, make for a brilliantly dark track, which manages to hold a religious connotation, while also reflecting upon nature itself. Morana is only four tracks, but still comes in at roughly an hour length. Over this hour Ashtoreth continues with his blend of subtle religiosity and a contrasting darkness. The hour will slip by in no time, attesting to the skills of the musician. It is no small feat to keep listeners entertained for this length of time using such minimalistic techniques. But its absolutely achieved by Ashtoreth. The other surprising element to this is that, aside from the opening track, the entire album was created in a single live session. One man, using the slightest amount of elements to bring forth a spirit, one which won’t be easily cast aside. True to their vision, Unexplained Sounds Group have once again brought forth a magnificently talented musician. One who breaks the mold of the genres in which his music is categorized. It would be pointless to make a comparison to other artists here. Surely some shall have a few similarities, but each of the four tracks take Ashtoreth into new, uncharted territory. Territory which appears to be as cold as it is isolated. I would highly recommend Morana to any dark ambient fans who like guitar driven soundscapes. It is equally recommended to ritual ambient fans who prefer to hear something a bit out of the ordinary.